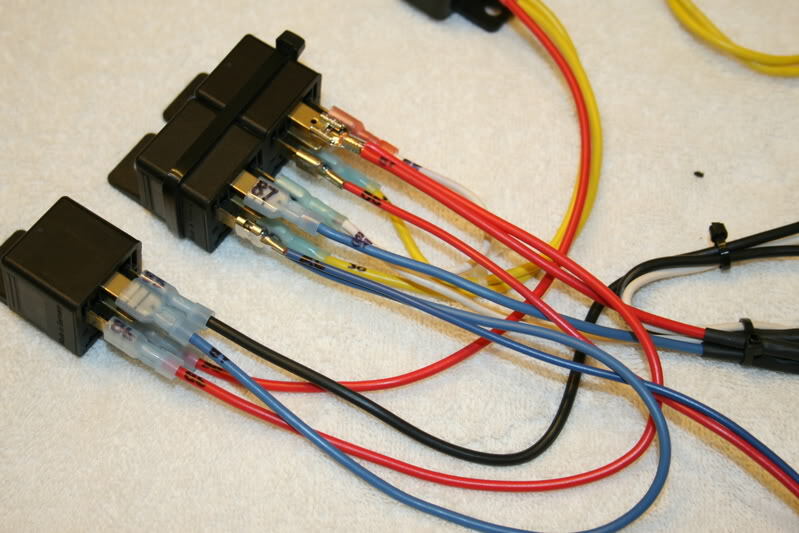 Includes updated instructions for High Beam control using a DIODE instead of 3rd relay. 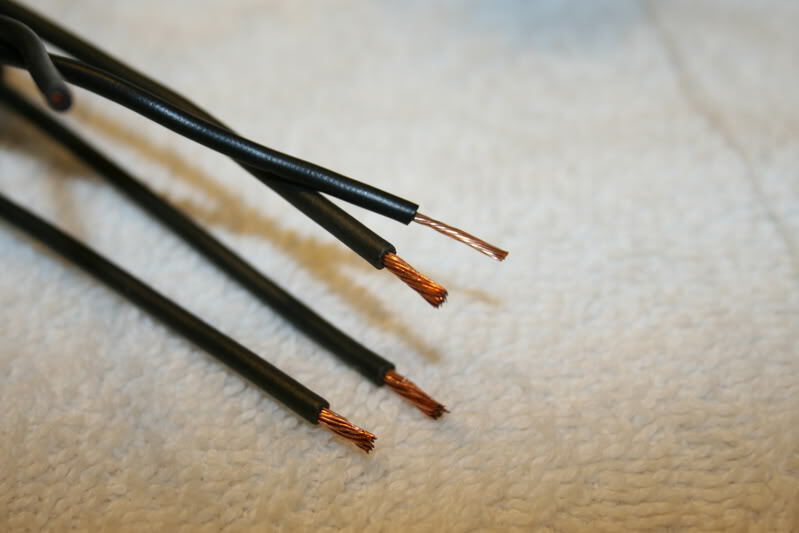 The real weak link in the wiring are the grounds, they are only 20 gauge from the sockets to the first ground connection. 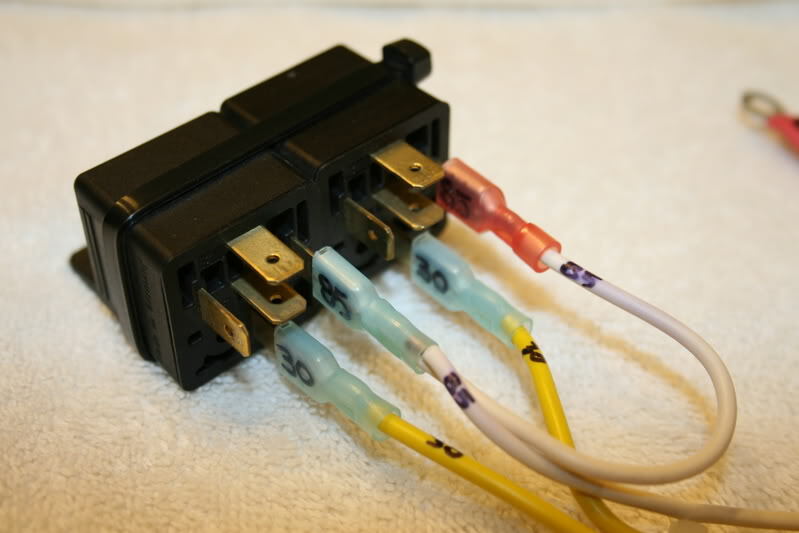 With a length of wire fashion a jumper and provide a pigtail, this will connect to terminal #85 on both relays using a Female Spade connector. 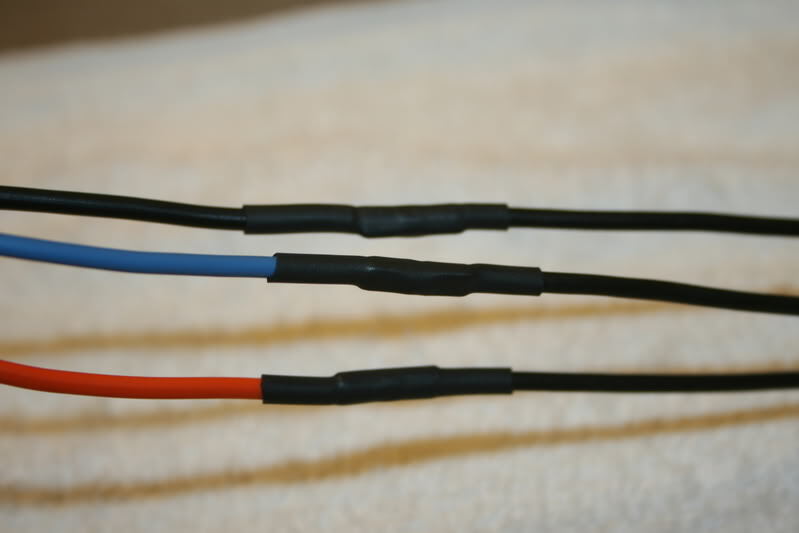 On the end of the pigtail provide a ring terminal, this will be a Ground connection. Instructions for optional 3rd. relay are included. This is how your connections should look as far as we have gone. The White wires are the ground #85 for the coils and the yellow wire supplies the battery power to the armature #30 in the relay. 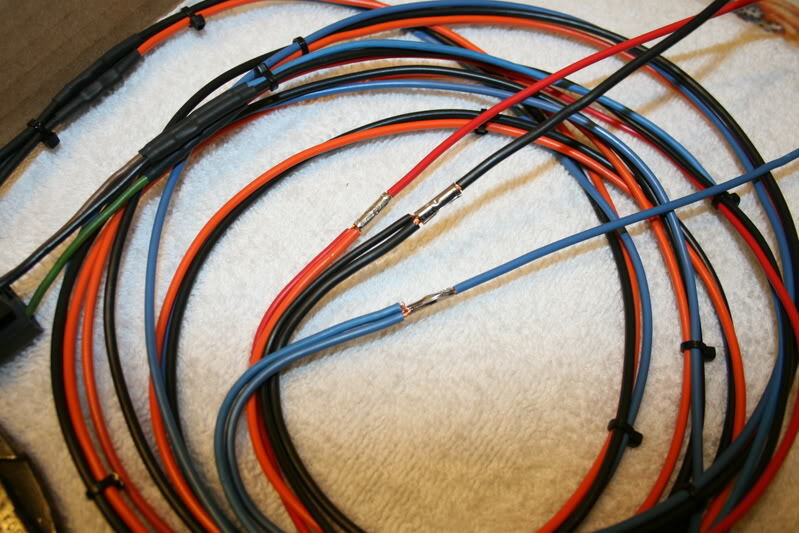 Now take the harness you just made and even up the length of the wires opposite the sockets (where you crimped the 2 wires together onto the 1 wire), now secure 12-gauge .250 Female Spade terminals to the ends of the Red (if you plan to install 3rd. relay also connect the Red #86 relay wire at this time) and the Blue wires. Blue wire on to the Left hand relay terminal #87. 3rd. Relay is optional; if you are not going to install it you will not make connections to terminals #86 and #87. The 3rd. relay on the left in the picture gets its trigger from the High Beam relays output Term #87 and latches on, In doing so it supplies power to the Low Beam relay Term. #86 enabling both the High and Low beams to be on at the same time. An option would be to break the connection of the Red wire between Term. #86 of the optional relay and Term. #87 of the High Beam relay and insert a cab-mounted toggle switch so you can manually choose this option from the drivers seat. These are the heavy-duty crimpers I use to make the connections with. Below are the instructions to add the 3rd. relay to turn on the Low beams in conjunction with the High Beams. You do not have to add this part if you do not want to. You will add the circuit that is highlighted in yellow. 1) 30-amp BOSCH ISO relay. 4) 14 gauge insulated .250 Female Spade terminals. 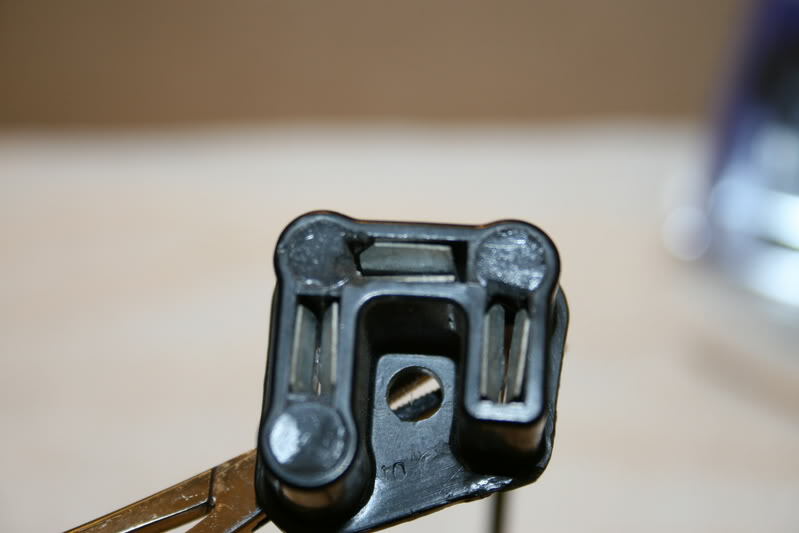 With an approximately 6” length of White or Black wire secure a Ring terminal to one end and secure a insulated .250 Female Spade terminal to the opposite end. Connect this onto Term. #85 on the relay, this will be the ground connection. Now with a 6” length of Red wire again secure an insulated .250 Female Spade terminal to one end and connect this to Term. #86 of the relay. If you are going to install the 3rd. 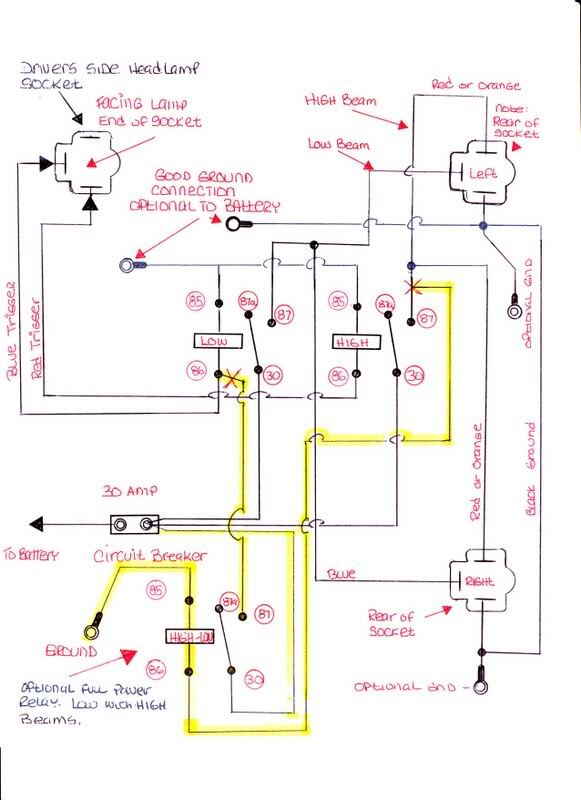 relay plan to do so while constructing the original circuit. 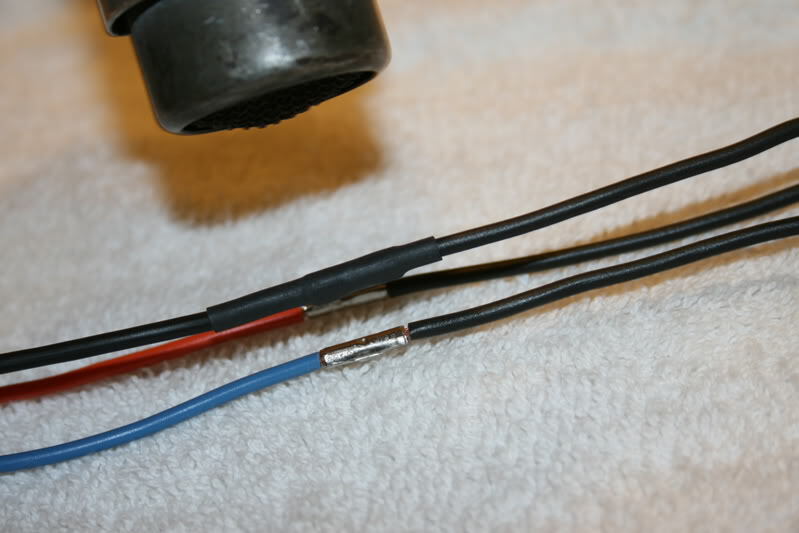 Insert these 2 wires into the same Female Spade terminal. Take a length of Red wire and secure a Ring terminal to one end and an insulated .250 Female Spade terminal to the opposite end. 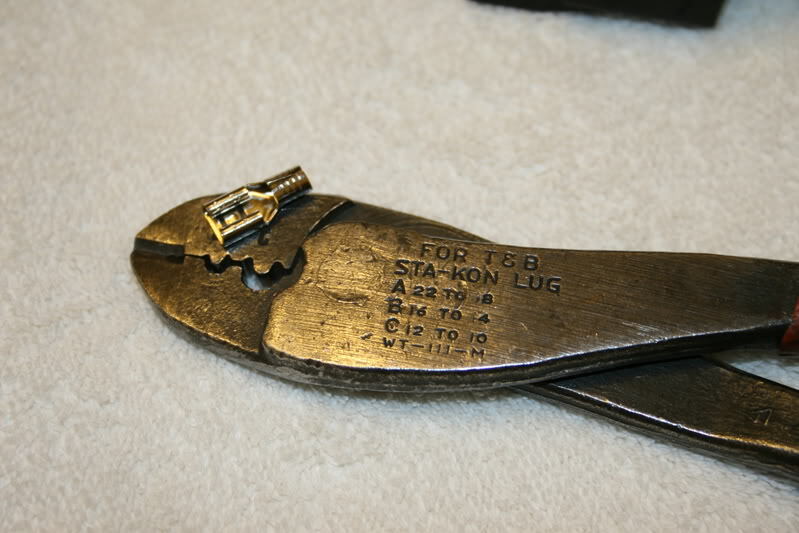 The Female Spade terminal will connect to Term. #30 on the relay and the Ring terminal will get power from the circuit breaker. Last with a length of Blue wire secure an insulated .250 Female Spade terminal to one end and secure it to Term. #87 on the relay, the free end will connect to Term. #86 on the Low Beam (Left side) relay. Again using your Sharpie designate all of the terminal numbers for future identification. When choosing the relays I would use Genuine Bosch or TYCO and not the cheap generic look alikes, there is a big difference and your headlights are critical to have working. You do not want to take any chances of your headlights going out at any un-opportune moment that could lead to a serious or fatal accident. 4) 14-12 gauge insulated ring terminals. * * When you buy your terminals try and find a local HVAC warehouse, like Johnstone Supply or Grainger’s. 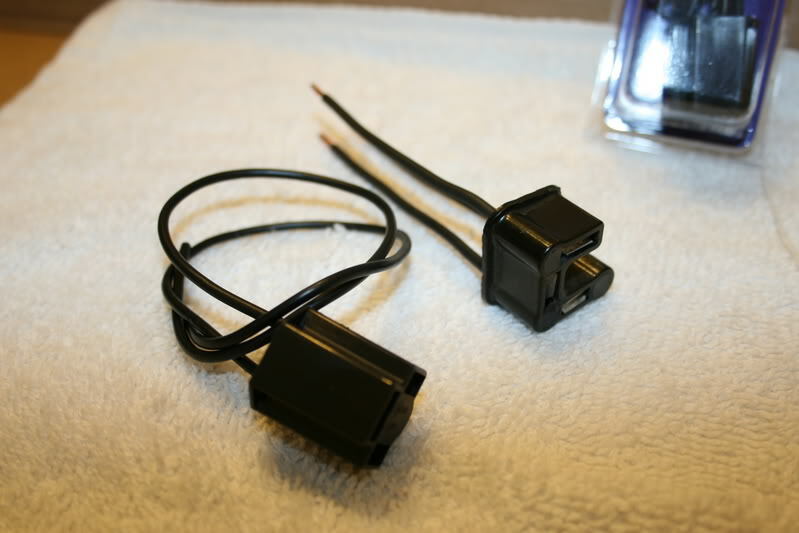 Get the High Temperature terminals, they come in many sizes and are far superior to the ones at your local Auto Parts. Insulate them with Shrink Tubing. 4) 14 gauge Female Spade terminals. 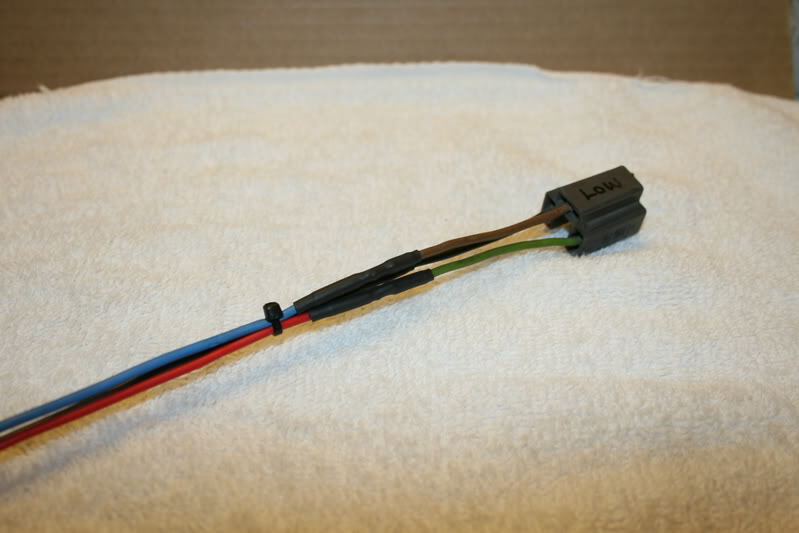 How to add Low Beam and High Beam control using a diode in place of the third relay. 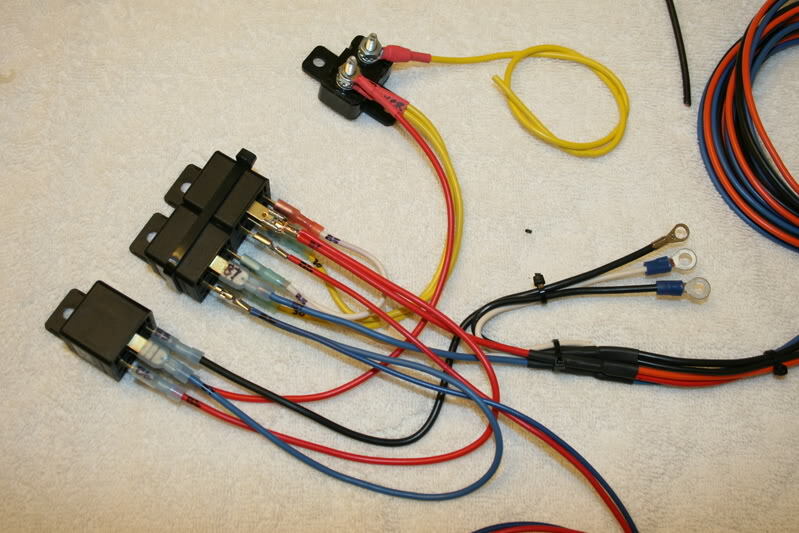 Yes it can be accomplished very easly by inserting a small signal diode between the Low and High beam relays or it can also be inserted where they connect to the factory harness. To do this all you need to do is when you are building your harness before you crimp the wires for Term.#86 in addition to the Blue and Red wires insert the leads of a diode with the Anode to the Blue and the Cathode to the Red and then crimp the terminals, when you look at the diode the end with the band is the cathode and is connected to the High Beam Relay. The theory of operation is simple, when the Low beams are on current is blocked by the diode from flowing to the High beam trigger but when the High beams are on the diode passes current to the Low beam trigger circuit turning on both the High beam and Low beams simultaneously. Anode = Blue Wire on the Low beam relay. FYI Term. #86 are the 2 vertical terminals on the left side of each relay. Get your diode from Radio Shack or any electronics supplier; use at least a 2-amp diode for this addition. Awesome writeup! Labeling the terminals on the relay with a sharpie--Brilliant! Excellent and needed write-up for those that were a bit over-whelmed. 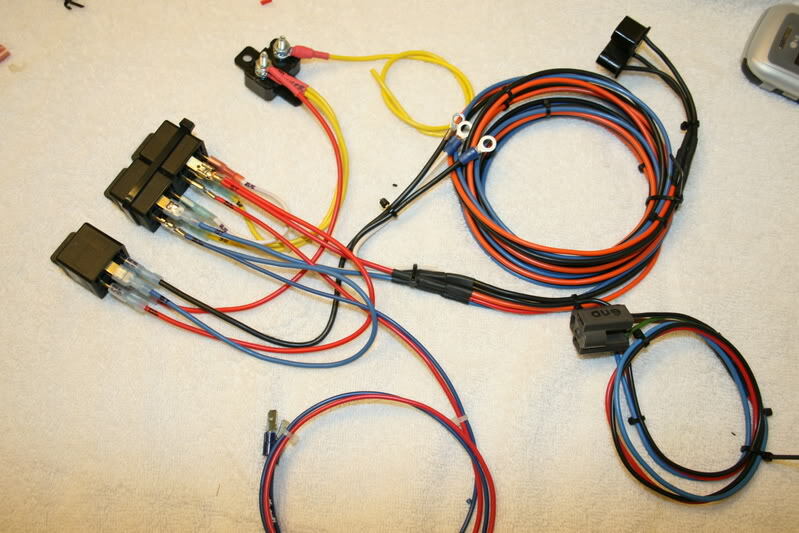 I used genuine RELAY PIGTAILS, should I have a relay to fail, I simply un-plug the old and plug in the new; these aren't easy to find, especially in the larger wire gauges; but, the smaller gauge ones can be dis-assembled and larger gauge wire installed. Also, an extra un-used relay can be mounted beside the others, with it's terminal prongs protected from dirt in some creative way; so that, should a relay fail, it can be quickly replaced by simply un-plugging from the bad and re-plugging to the good; and, you don't have to wonder where you put that extra emergency relay, as it's hanging right there beside the rest of them. Those look to be exactly the same ones that I got at the local NAPA. 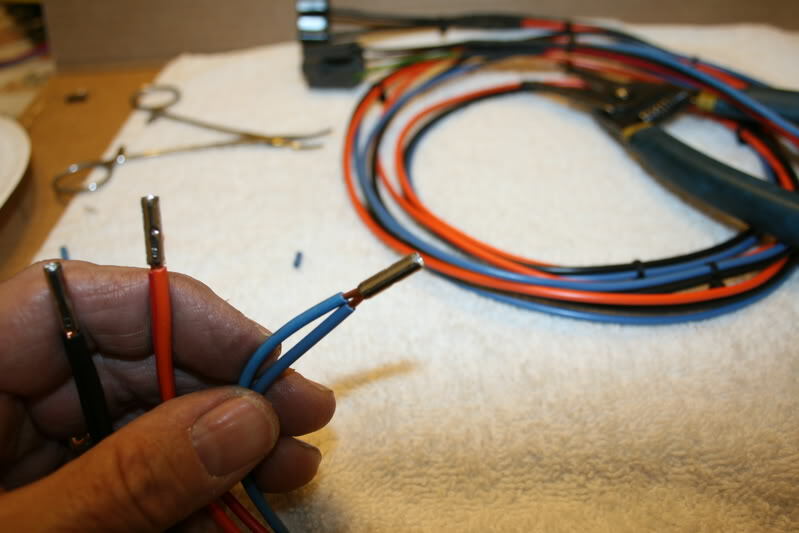 heat it with a heat gun or carefully use a cigarette lighter to shrink the tubing to the wire and seal it tight. A decent heat-gun for us poor people can be had from Harbor Freight for ten bucks; I don't recommend it for constant professional use; but for individual use, it will get the job done without putting you in the poor-house. 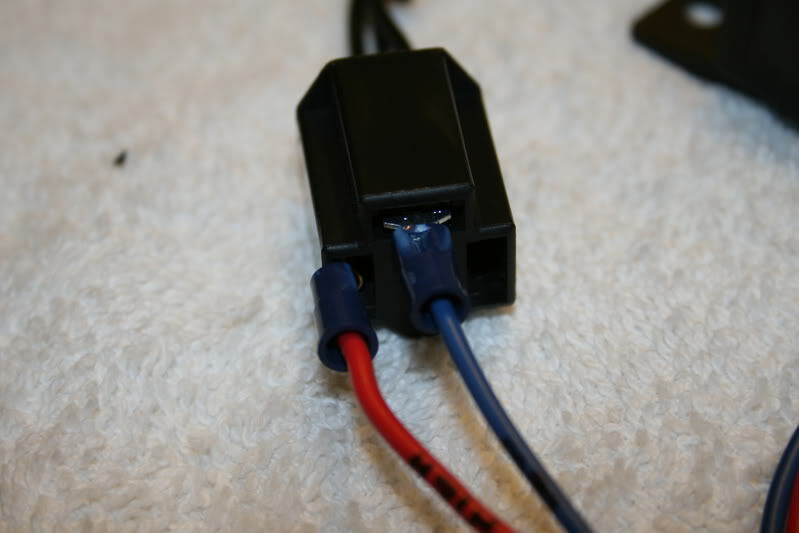 When I intend to use shrink-tube over a connector, I remove the plastic cover and discard it, thus eliminating the "lump". 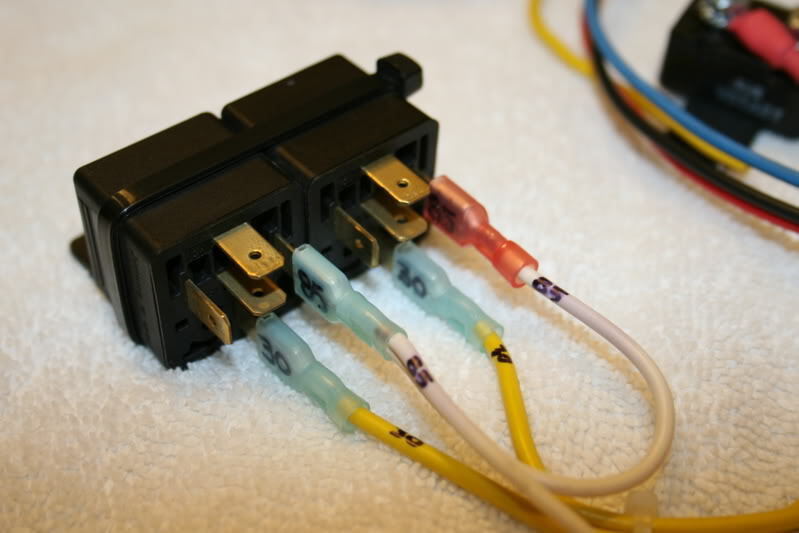 On the end of the pigtail provide a ring terminal, this will be a Ground connection. 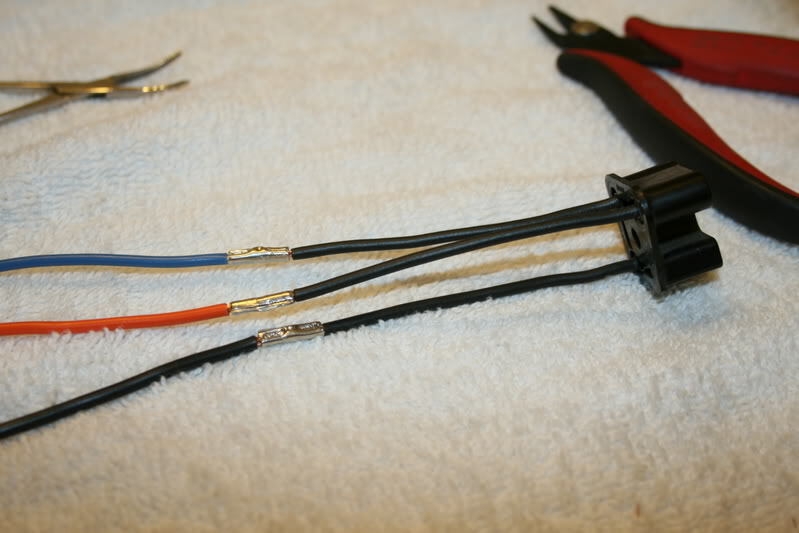 you could use Black wire but it should not be Red or Blue for ease of identifying the circuit after it is installed. It is just easier to diagnose later on. If there is ever a problem. In order to keep myself from getting confused (easier done than one would think[duhhh]), I try to always use GReen for GRound; of course, I get into these weekend-everything-closed-don't-want-to-go-to-town projects and everything gets wired with whatever color wire happens to be available. Excellent!!! This will solve about 237 posts a month! thanks for a great write-up.takes any guess work out of it. Good write-up. Defiently on my list for the 91' after I get my 01's lights upgraded. What voltage are you getting before and after at the bulb? I've done this before on other cars and it can make a HUGE difference. Then add some EURO lights and run 130/100 watt H-4's. Thanks! Great! Saved to fav's well use this soon.